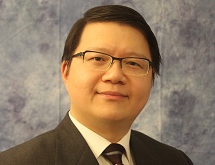 Dr. Jiaher (Jacob) Tian serves as the scientific advisor for US-China Intellectual Property Counsel, and brings to his role over two decades of experience in research and development in the chemical, biological and pharmaceutical fields. Dr. Tian also serves as Director of Technology Development at Rainbow Ceramics, a fast-growing manufacturer and supplier of ceramic proppants. At Rainbow Ceramics, Dr. Tian leads multiple research teams that work closely with oilfield service companies. His research focuses upon the enhancement of production from oil and gas wells in both vertical and horizontal completions. Dr. Tian possesses a significant background in the pharmaceutical industry as well, having worked at Forest Laboratories, Inc., Wyeth Pharmaceuticals (now Pfizer), and Pharmacia, Co. He has extensive experience in drug pre-formulation and formulation, as well as drug delivery, and bioanalytical and drug metabolism. Dr. Tian’s research has earned him the recognition of contribution award from Forest Laboratories, Inc., and his work has culminated in the successful FDA approval of Linzess®, Namenda®, Teflaro® and Savella®. Dr. Tian’s research, expertise and accomplishments are widely recognized across his respective fields of work. With respect to drug product development, he has achieved significant advancements in various dosage form platforms such as immediate release oral dosage forms, parenteral products, topical products, and dry powder inhalation products. Dr. Tian is also a recognized expert in designing and conducting solubility and permeability studies of drug candidates, as well as profiling transporter substrate/inhibitory activity of drug candidates. His work is widely published in top ranked, peer-reviewed pharmaceutical journals, and he has invented, and holds a patent on, an innovation related to the crystalline and amorphous Forms of a β-arrestin effector. Dr. Tian holds a Ph.D. in Pharmaceutical Chemistry from the University of Kansas and an M.S. in Environmental Science & Engineering from the Johns Hopkins University. During the course of his studies, he was the recipient of Takeru Higuchi Predoctoral Research Fellowship in 1999. Tian is an active member of the Society of Petroleum Engineers (SPE), the American Association of Pharmaceutical Scientist (AAPS), and the American Chemical Society (ACS).